I spent a lot of time picking up seashells along the Florida coastline when I was a resident there, and the blue shells are some of my favorite. 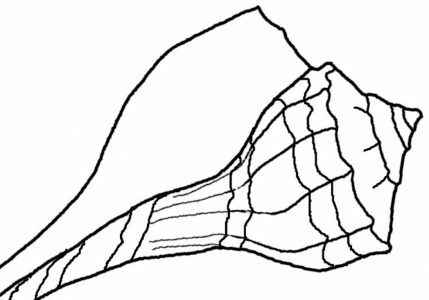 The heavy bivalves are known as cockle shells and the fact that they have ridges and stripes of tan make them even more interesting. I was taking photos for my Zazzle shop, Seashells by Millhill, and thought that a cluster of the blue ones would be nice and then I decided to add a little, white moon snail to the center. The picture came out nice and I made it into a postcard and print for the store. The postcards are very good sellers and I’ve even sold a print or two. Most people like collecting shells if they can get to the beach, but if not, keep a beach shell photo close by and dream of the day you will get the chance. very cute blog and i love all the great images! i just started a website selling seashells at http://www.seashellsupply.com if anyone is interested in purchasing some for crafts or decoration. Hi Kevin, that is a great looking site. I will link to it on my side bar. Thanks for visiting. Nurture Your Creativity: Artistic ideas and thoughts on living a creative life. Melbourne, Australia. A LOT OF P'S WITH A BIT OF QUIRKINESS THROWN IN FOR GOOD MEASURE.